Home > Investor Meetings > Devakottai Integrated Asset Allocation Meeting Jan 6 2018. Devakottai Integrated Asset Allocation Meeting Jan 6 2018. 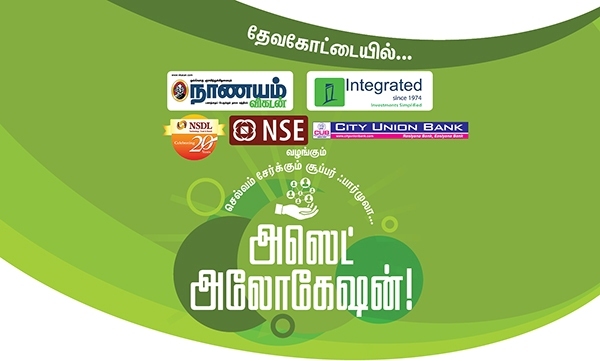 Arun Excello Compact Homes - Vasanthaa : Flats Rs. 9 Lakhs all inclusive Price..! 2012 - 2013: One year Return..! 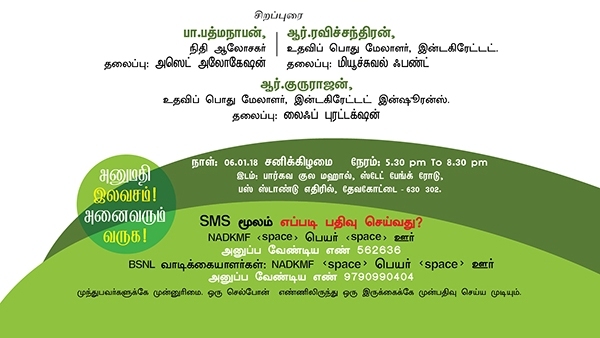 my VGP: Evon Springs Gated Community Plots near Singaperumal Koil...! Money Management Download 5 free e-books! Amber Enterprises IPO: Should you Invest? Share Trading 12 Must Follow Rules..! 2017 - Best Schemes Of SBI Mutual Fund..! SEBI Action : Refund to PACL Investors..! Strategy for New Year 2018: Where to invest? Tamilnadu New Guideline Value : How much Increased? Tamilnadu: New Guideline value implemented on February, 2012 ? Reliance Life: Launches Electronic Insurance Policies..
Jains Group: Plots near Thindivanam Rs. 199 per sq. ft..
TASMAC Wine Shop : Violation of MRP Complaints Telephone Numbers 044- 2854 2303, 044 - 2852 1970 and 044 - 2852 4608..! What is Real Interest Rate? Aditya Birla Capital – Mutual Funds now on WhatsApp!